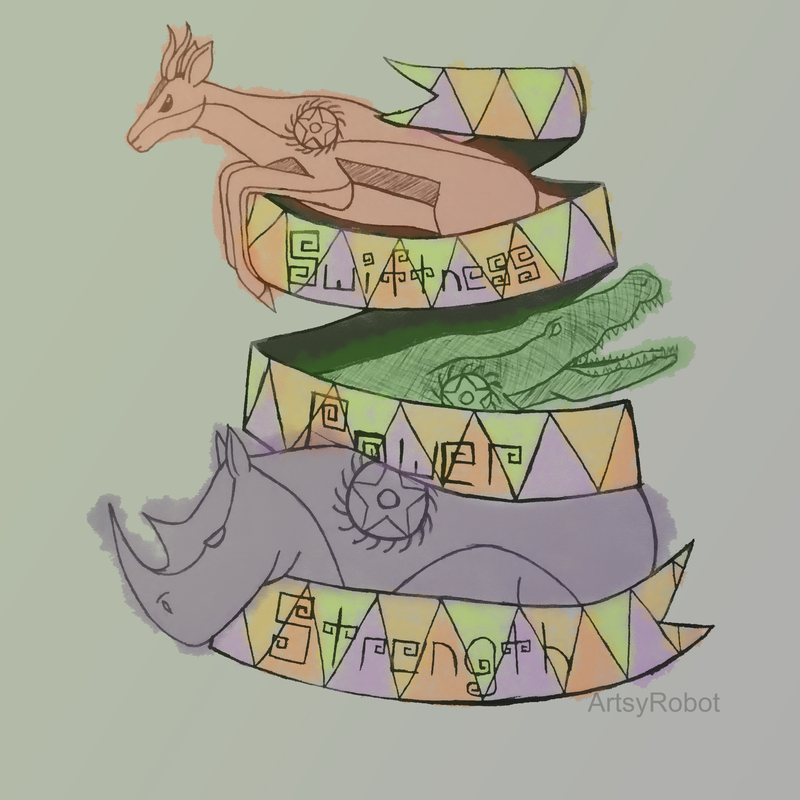 If you follow me on Instagram, then you probably have seen the black and white version of my latest doodle, a tattoo design based off the Naturalist. He is one of the more recent characters added to Sentinels of the Multiverse. (Bet you did not see that one coming. 😉 ) I decided to play around with Manga Studio, and created what you see below. What do you guys think? I would love to hear your opinions. I tried to make the animals look almost cloudy though I don’t think that was really showed off. I still don’t understand how to use most of the brushes in this software. I have learned that the only way to figure it out is to practice, or watch hundreds of videos online….I like the idea of practicing a little more though. On the personal note, I’m starting to feel much better! I still have the sniffles, but with a lot of tea and sleep I should be back to normal in time for my last semester of classes! Anywho, I hope you guys have a great weekend!